Even when I have a big stack of books to read and a backlog on my iPad, sometimes a book muscles its way to the front of my list without rhyme or reason. 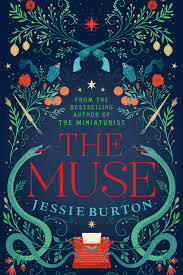 I had read Jessie Burton's The Miniaturist, but when I came across her latest book The Muse at the library, I knew nothing at all about it. Based on the back cover copy, I gave it a chance. I'm so glad I did. The book opens in London in the late 60s, as Odelle Bastien, a young immigrant from the Caribbean, finds herself working at a small art gallery, after leaving a job selling shoes with her best friend. An aspiring writer, shy about sharing her poems and stories, she catches the attention of Lawrie Scott, a young man who technically crashes Odell's friend Cynth's wedding party, and then of Margery Quick, one of her employers at the Skelton. When Lawrie tracks her down at her work, bringing with him a painting that represents his only inheritance to his recently dead mother, the mystery of the painting's history piques the curiosity of Odelle and of everyone at the Skelton. Burton then takes readers back in time to the 1930s, when young Olive Schloss has just moved with her English mother and Austrian father to the Andalusian region of Spain. When two young locals, Isaac and Teresa Robles, illegitimate children of a Spanish man with power and reputation in the community, Olive is drawn into both romance and unlikely friendship with the two. Olive withholds the news from her parents that she's been accepted at an art school in London, especially when she learns that the handsome Isaac also considers himself an artist. Young Robles, involved with a group of rebels opposing the current government, is trapped by a deception about the art Olive produces, signing Isaac's initials. Throughout the novel, Burton maintains a careful balance between the two story lines, which read almost like two separate novels until the story lines merge. Odelle's story is sometimes reminiscent of Chris Cleaves' Little Bee, while the Spanish narrative has some echoes of Kingsolver's Lacuna. In fact, the description of the paintings that tie the two stories together sound like something Frida Kahlo might have painted. The author manages to keep Odell's writing achievements nearly woven into the story, maintaining the mystery of her true muse Margery Quick and convincing readers with Odelle's insight, self-awareness, and attention to detail, that she could indeed work magic with the language. One of my favorite rituals at the end of each year is compiling my list of books I have read. I've been keeping notes on my wall calendar for quite some time, and I transcribe them here and in my Bookwoman notebook. I read once that Art Garfunkel has kept his list like this since he was about sixteen. I wish I'd started then. The books I actually get around to reading, the ones that press their way to the top of the pile, get there in a variety of ways. Being a part of a book club has been important for me, encouraging me to read books I might otherwise pass by--Just Mercy, for example, and When the Moon Is Low. Some books make the list when I hear the author at a reading. This year, I heard Kimberly Williams-Paisley, Jane Hamilton, Louise Erdrich, and Ann Patchett, to name just a few. 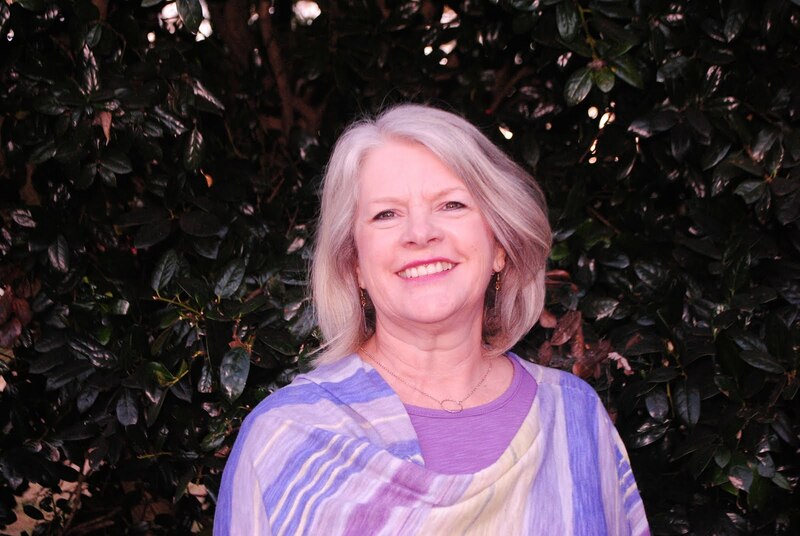 Living in Nashville now, I am fortunate to be able to attend lots of book events thanks to the Nashville Public Library (Salon @615) and Parnassus Books. I still rely on recommendations from my favorite fellow book lovers out there--Carol Jago and Amber Owens fall into that group. A few are assignments, books I'm reviewing for journals or authors I'm introducing at readings. Some books I find through pure serendipity, prowling the shelves at book stores and the public library. I must confessed that I abandoned several this year--especially audiobooks. I may give a few of them another try, but I'm unapologetic for opting out, considering how many more I may never get around to reading. I discovered author Louise Penny last year (Thank you, Brian Faucette), and she's certainly over-represented on my list this year. I'm not usually one to read mysteries or series. Her books are both, and yet I find myself caught up and waiting for her to finish another. I have rarely found a set of characters about whom I cared so much. Over the course of her dozen or so novels, I have come to know the residents of Three Pines and their regular visitors. 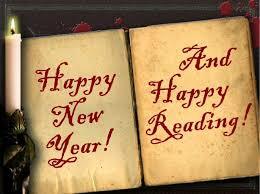 I keep telling anyone who'll listen to read them--but to be sure to read them in order, so as not to spoil surprises. I also read the next in the Flavia deLuce novels by Alan Bradley, and End of Watch the third in Stephen King's trilogy. I re-read a couple of books, Life after Life, a book club selection I enjoyed again. Many of my favorite go-to authors have lived up to expectations--Patchett, Ron Rash, Anna Quindlen. As always, I have a number of poetry collections on my list. To be honest, I've read more than I've listed. I am sure. I'm also partway through books by friends--Scott Owens and Jeff Hardin for instance. This year my husband and I also completed the Bible, using the MacArthur Daily Bible. I read it through with friends a few years ago, and my paperback copy is held together by duct tape, so I downloaded the eBook on my iPad. I like the arrangement: every day offers a selection from the Old Testament, from the New Testament, the Psalms and Proverbs. Leviticus is much easier to read, knowing one of the Gospels will follow. I'm already making a list for this year, and I'm almost through Wally Lamb's I'll Take You There. On the sofa beside me, I've made check marks beside the New York Times best sellers I've read and a W beside the ones I "want to read." If I've learned anything, though, it is this: the books I finish aren't always the ones I planned to read. New titles just keep butting their way in.